This volume contains 509 claims submitted and allowed for losses due to raids in Kansas during the Civil War. The bulk of the claims relate to Quantrill's raid on Lawrence, August 21, 1863. Other specific incidents were attacks on Humboldt, Kansas, in September and October, 1861, on Olathe, Kansas, September 6 and 7, 1862, and numerous attacks in Johnson County, Kansas, throughout the war years. There may be claims for incidents in a few other counties as there is at least one for Miami County, Kansas. Claims were presented to a special commission established by the Kansas Legislature in 1875. The commissioners were John N. Murdoch, Ottawa, Kansas; C. D. French, Lawrence, Kansas; and William H Beur, Burlington, Kansas. The commission was organized March 18, 1875, and the commissioners were sworn in by D. W. Wilder, Auditor. Murdoch was elected chairman and Beur served as clerk. The commissioners began receiving claims in Ottawa on April 20, 1875. The first claim was for losses from a raid of guerillas on July 1, 1861, in Cherokee County. It contains a general list of losses and amounts: dwelling house, household goods, cattle, and hogs. This format is used for the first 43 pages. Entries after that give the names of the claimants, where they lived, and the amount of money approved. There is a alphabetical name index at the beginning of the volume. 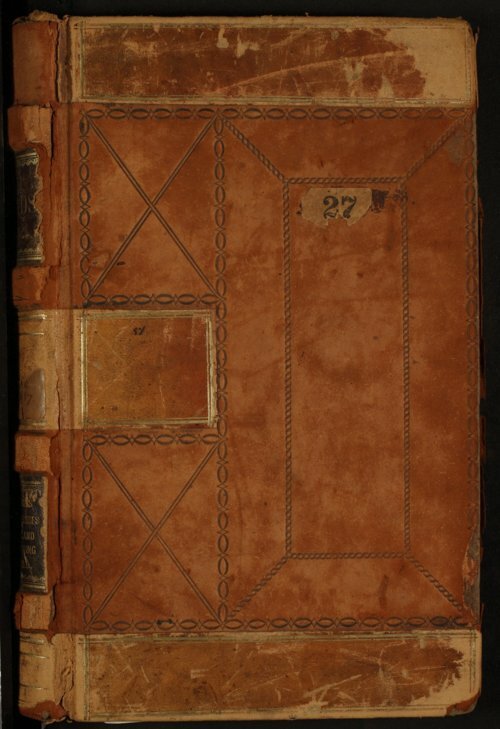 One sheet, page numbers 7 and 8 (front and back), has been removed from the volume. Most of the claims are marked paid on by the Auditor in 1887 or 1888. The last three claims in the volume were submitted in 1891.